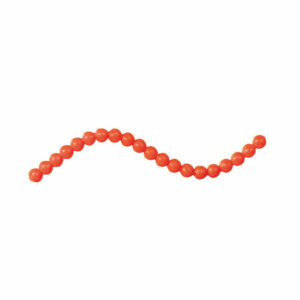 Strand length: 2.2″. 20 eggs per strand. 5 strands/pack. Everything likes eggs, right? 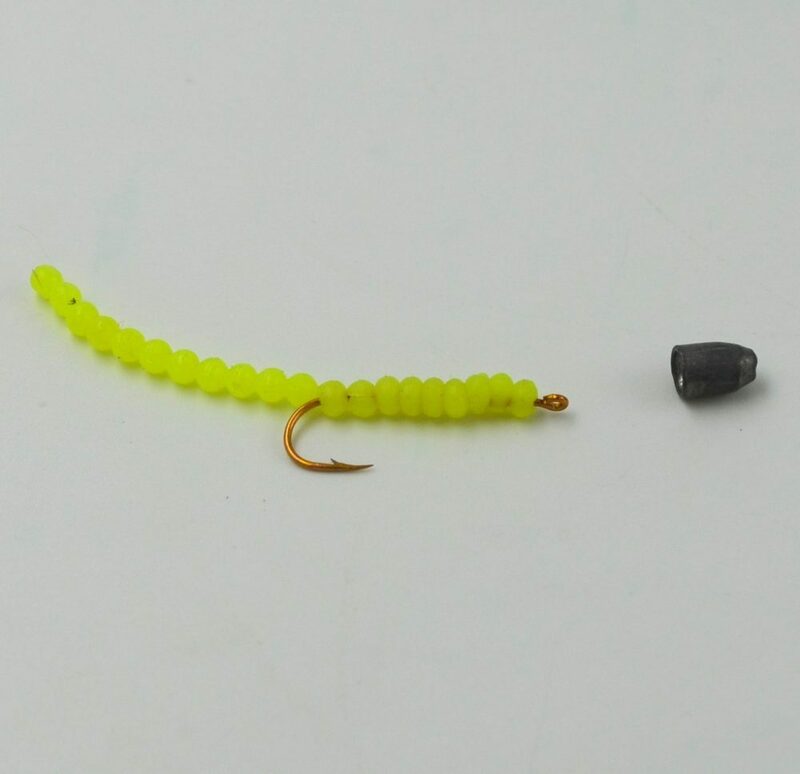 This simple string of “eggs” is often fished as a strand. 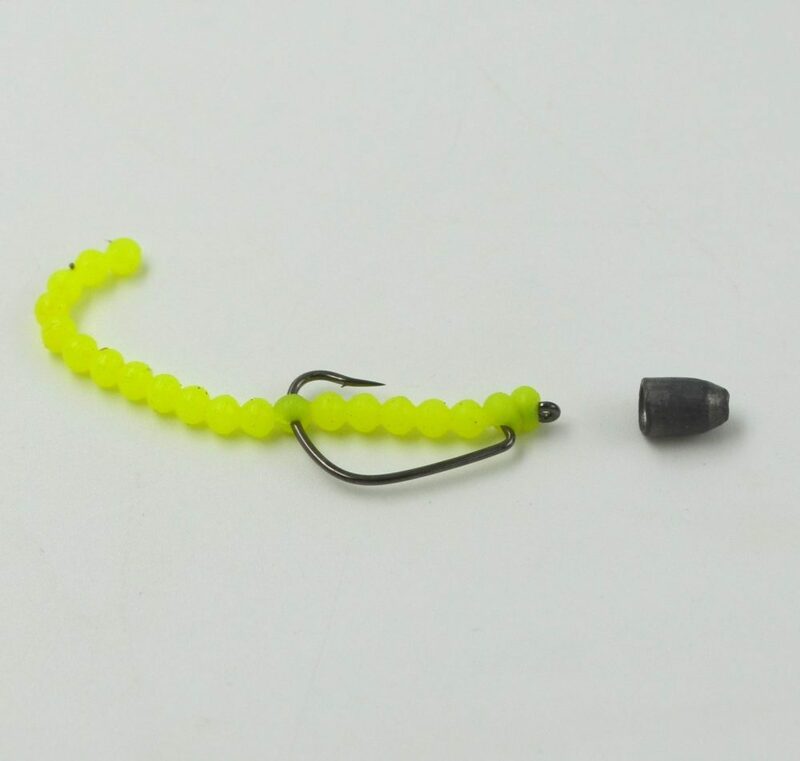 The “tail” of these floating baits easily moves and sways and brings the baits. 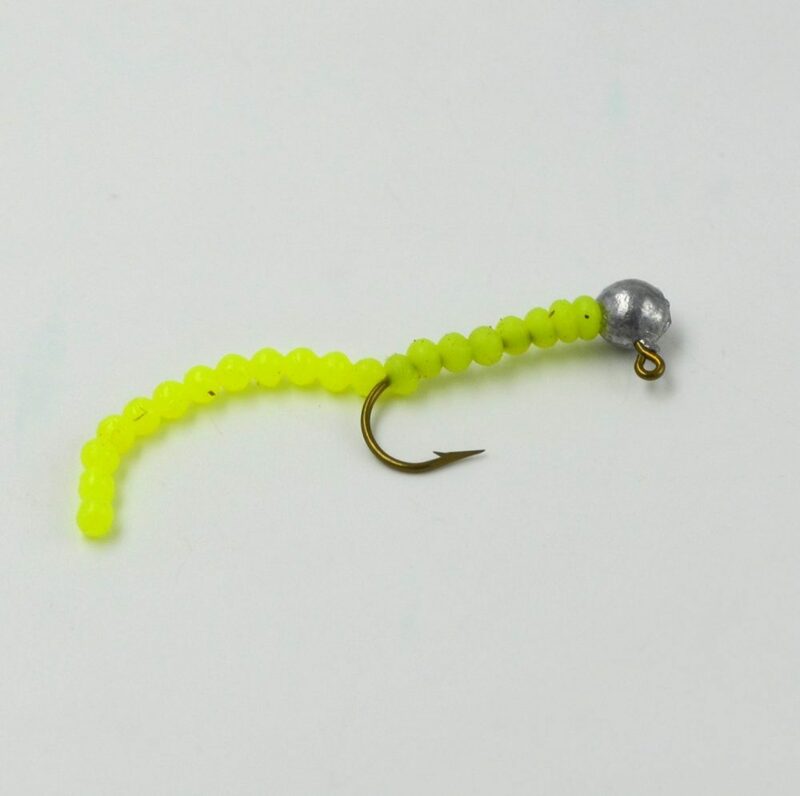 An excellent crappie bait, it also brings in a bunch of bluegill and bass. The strand can be pinched to shorter lengths as needed. 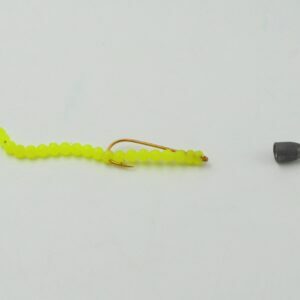 Interestingly, adding bait balls as an attractant above the hook when fishing live bait such as worms has proven a more effective way to fish live bait. Simple, versatile, and effective. Floating. Super stretchy. Scented. Biodisintegratable. Phthalate & toxin free. Other effective rigging methods below.